A three day festival of music, wine & culinary art in Margaret River. Only Friday & Sunday Performance tickets left! 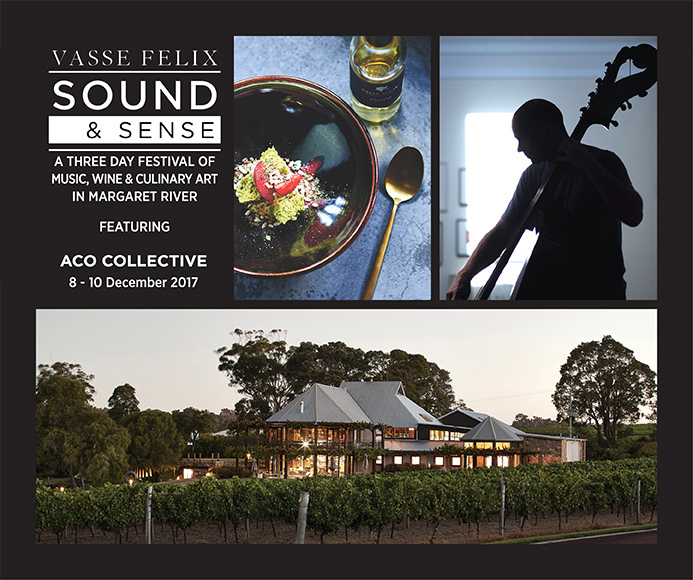 Your evening at the Estate begins with cheese, charcuterie and a glass of Vasse Felix Blanc de Blancs sparkling on arrival, before moving through to the Vasse Felix Art Gallery for this opening performance by ACO Collective, led by Artistic Director Pekka Kuusisto. Following the performance, join Janet Holmes à Court, and members of the ACO Collective for an intimate dining experience in the Restaurant, including a sumptuous five course degustation menu with matching wines by internationally-renowned Chief Winemaker Virginia Willcock. You will also receive a copy of ACO40, a limited edition book celebrating the ACO’s 40th Anniversary year, along with a bottle of the 2014 Vasse Felix Cabernet Sauvignon. Be inspired with this high-octane evening performance featuring Australia’s finest emerging string musicians. Following the performance, step outside for a gentle sunset stroll through the Home Vineyard to the spectacular Vasse Felix Red Barrel Hall for dinner. 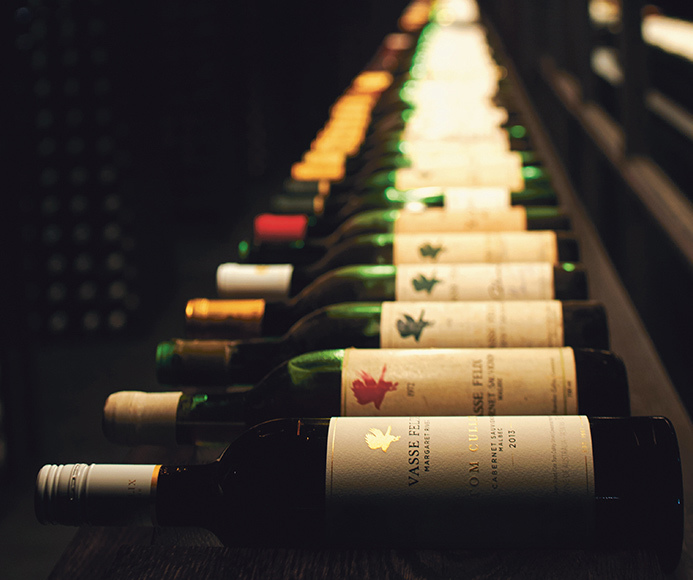 Enjoy a long table shared-dining experience surrounded by the estate’s aging red wines. Includes three sumptuous courses accompanied by Vasse Felix wines. This just might be the perfect way to spend a Sunday with family and friends. Indulge in the enchanting sounds of ACO Collective with this special morning performance. An engaging and accessible program suitable for music lovers of any age. Join the musicians on the Estate lawns following the performance for light refreshments or make a reservation to dine in the Vasse Felix Restaurant. Celebrating its 10 year anniversary this year, ACO Collective is the Australian Chamber Orchestra’s critically acclaimed 17-piece string orchestra led by Artistic Director Pekka Kuusisto and combining musicians of the ACO with Australia’s most talented young professional musicians at the outset of their careers. These young musicians have embarked on a year-long journey with the Orchestra as part of the ACO’s Emerging Artists’ Program which includes tours across Australia, mentoring from ACO players and delivering ACO’s many education initiatives. With their signature energetic style and dynamic sound, the ACO Collective embodies the very spirit of the ACO. Our viticulturists are breathing a sigh of relief, having completed 10 weeks of pruning – approximately 9,000 hours between all team members. The pruning season, which generally runs from July through to September, is a labour-intensive process where staff work with every single vine in each of our four vineyards. 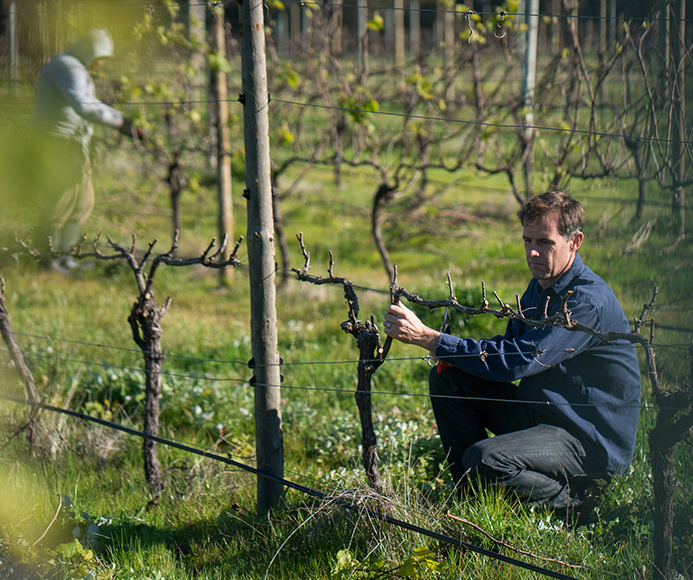 For those interested in the finer details of viticulture management, our Chief Viticulturist Bart Molony has put together a summary of the two pruning methods utilised at Vasse Felix. Pruning is the removal of shoots and wood from the vine and is carried out during winter when the vines are dormant. Pruning is the most labour intensive seasonal task and can make up 13% of a vineyard’s total cost of operations. It can take anywhere from 30-90 seconds to fully prune a vine depending on the pruning style, age of the vine and the variety. We prune in order to regulate the number of shoots on a vine and strike a balance between vegetative growth and yield. Too much vegetative growth can make canopies more difficult to manage, increase disease pressure and reduce overall fruit quality. Pruning contributes to the overall sustainability of a vine, so it can achieve ideal quality and yields year in, year out. Spur pruning is where a permanent cordon (horizontal branch) is set up and spurs of two or three nodes in length are evenly spaced along this cordon. The cordon typically ages and thickens with the trunk of the vine each year. Spur pruned vines can be mechanically pre-pruned which greatly reduces the labour required to remove the prunings from the trellis. The positions of the spurs are usually pre-determined so it is a quicker process compared to cane pruning. However, as the cordons mature, they can be increasingly harder to manage, the spurs become larger and there is an increase in the number of water-shoots (non-fruitful shoots) produced each year. Spur pruned vines typically produce smaller bunches and berries which are more intense in character. At Vasse Felix we have found that spur spacing of 10-15cm will result in ideal shoot and fruit densities. We apply this method in our premium Chardonnay blocks as it tends to produce more reliable yields and more even shoot distribution. Spur pruning also improves the power and concentration of fruit flavours, particularly in the Gin Gin Chardonnay clone – a well-known Margaret River Chardonnay clone. Cane pruning utilises the canes for fruit bearing wood, as opposed to using the spurs. Approximately two to four canes, originating from the crown of the trunk, are wrapped horizontally onto the cordon wires, while some 2-node spurs are left on the crown to guarantee fruitful canes for the following vintage. Cane pruning is arguably more sustainable than spur pruning as there is no permanent cordon present, the yields and quality tend to be more consistent. However, it does requires a higher level of skill, experience and resources. Cane pruned vines produce larger bunches and berries, resulting in softer and more elegant wines. We use the cane pruning method to maintain our premium Cabernet Sauvignon sections, as these vines require light exposure and open canopies. Typically, Cabernet Sauvignon berries are very small; therefore a slight increase in size can provide better balance in the berry composition. Target wine quality and style. This is determined by the potential of the site, which is heavily influenced by the soils and climate. Target yield to achieve wine quality. We look at the history of fruitfulness and the quality to get a clear picture on the type and level of pruning we should be using. Variety, age and fruitfulness of the block. Size and location of the block. 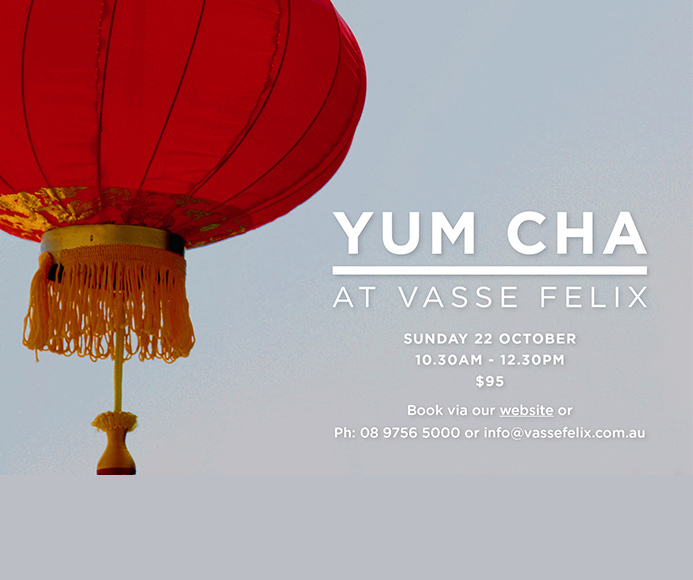 Enjoy ten indulgent oriental inspired dishes by Vasse Felix Head Chef Brendan Pratt & team, accompanied by Vasse Felix wines. Head Chef Brendan Pratt joined the Restaurant team in late July and has been busy developing his take on the signature Vasse Felix style. Perth-born and trained, Brendan’s international experience includes positions with Michelin Star Restaurants The Fat Duck and The Ledbury. Guests will be seated in tables of ten. If you would like to request to sit with friends, please make note of this in your booking and we will do our best to accommodate. James Halliday's Australian Wine Companion 2018 has officially been released, with both Vasse Felix Icon wines receiving excellent reviews. 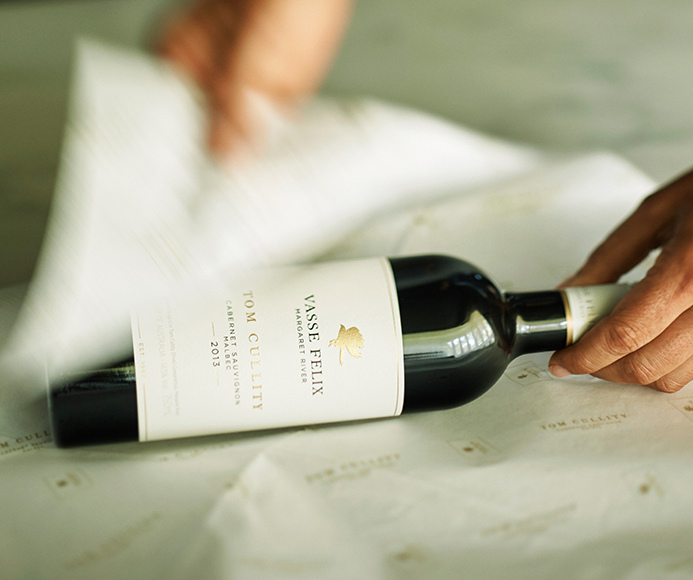 The 2015 Heytesbury Chardonnay was awarded an impressive 97 points, while the inaugural 2013 TOM CULLITY was given 98 points, making it our highest scoring Cabernet ever. The Halliday Wine Companion, recognised as the industry benchmark for Australian wine is eagerly anticipated year after year for winemakers and wine lovers alike. Don’t pay any attention to the slightly light colour, but certainly dwell on the gloriously fragrant bouquet and the intensity of the cassis-accented palate. This is a truly sophisticated blend of 76% cabernet sauvignon, 20% malbec, 4% petit verdot, with exceptional texture, length and aftertaste. Screwcap. 14.5% alc. Rating 98. Drink to 2033. One of the icons of Margaret River, a chardonnay that has had spectacular success in shows over the past 5+ years, this vintage typical. The mouthfeel and balance are flawless, supple yet focused, all the ingredients - fruit, oak, acidity - in perfect harmony and balance. Screwcap. 13% alc. Rating 97. Drink to 2028. The bouquet is still developing, but the palate guarantees the medium to long-term future of a chardonnay with exceptional length and intensity, pear, white peach and grapefruit combining to make light work of the oak. Restrained like a lion on a leash. Screwcap. 13% alc. Rating 96. Drink to 2034. It has all the hallmarks of the warmer part of Margaret River, flavour building relatively early and sustained throughout the length of the palate. Juicy cassis is the cornerstone, but there are notes of dried herbs, black olive and oak adding complexity and length. Screwcap. 14% alc. Rating 94. Drink to 2029. There’s no doubt shiraz deserves its place in the warmer parts of Margaret River, even if it were to limit the opportunities for new cabernet plantings. This medium-bodied wine is supple, long and well balanced, with black cherry fruits to the fore, backed by spicy, savoury tannins and a waft of oak. 86% cabernet sauvignon, 14% malbec matured for 13 months in French oak (20% new). Brightly coloured; tips the scales of medium-bodied, deliberately light and fresh in the mouth, both bouquet and palate draped over a scaffold of superfine tannins providing a long finish and aftertaste. Filius (son of) is made using the same approach as its siblings, but with different estate-sourced grapes, and barrel-fermented and matured in 22% new French oak. It is well balanced, its early picking showing through in the zesty grapefruit-accented acidity which invests the wine with excellent freshness. Wines from the Margaret River region recently featured as part of a Virtual Reality Wine Tasting – one of the first of its kind! 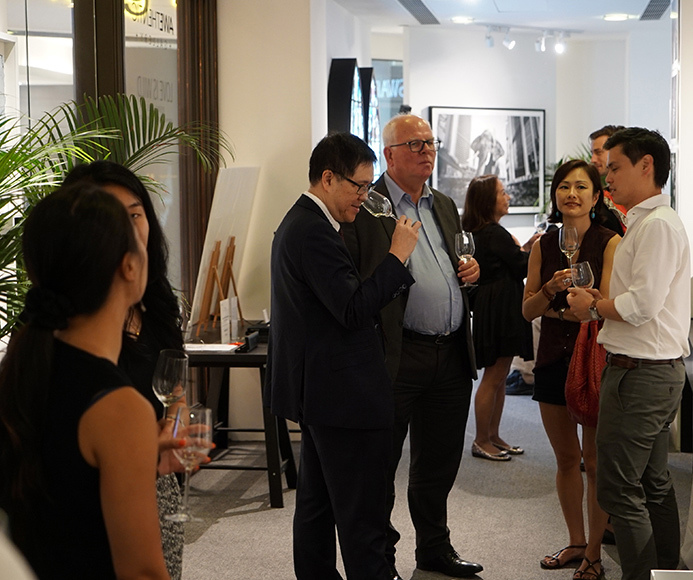 Hosted at the Awethentic Gallery in Hong Kong, the tasting was attended by leading CEOs and MDs from the wine, luxury lifestyle and media world. The Vasse Felix 2016 Filius Chardonnay was tasted by the VIP guests, along with wines from Cloudburst in Margaret River. Eddie McDougall of The Flying Wine opened the event and took the guests through the wine tasting. 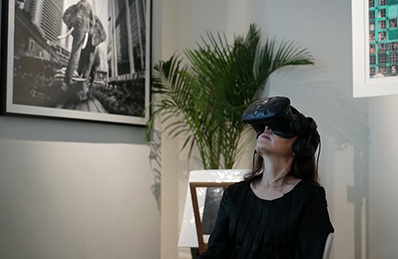 The wines were accompanied by a Virtual Reality wine tour, filmed at Cloudburst, which allowed guests to experience a unique insight into winemaking in Margaret River. How exciting to think that our little pocket of wine paradise can now be shared with wine lovers from all over the world! Take a look below at the photos from this special event. 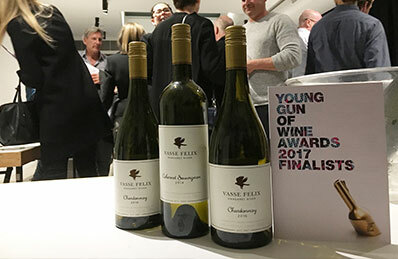 On Tuesday 20 June, the top 12 finalists were joined at POW Kitchen & Bandroom by the best in the industry to celebrate the eleventh annual Young Gun of Wine Awards. 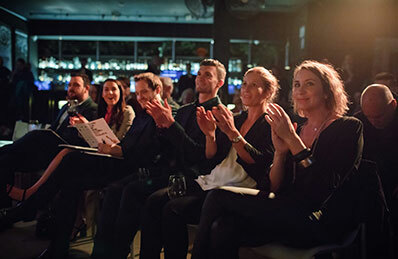 The awards search for, showcase and celebrate new and emerging winemakers, and have become the place to spot the best new talent and trends in wine. 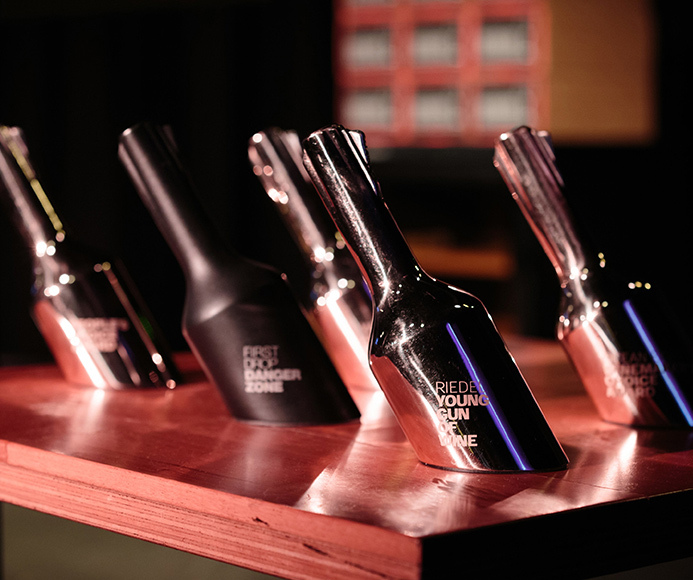 Trophies presented included Wine Australia Best New Act, People’s Choice, Ocean Eight Winemaker’s Choice and the Riedel Young Gun Of Wine. 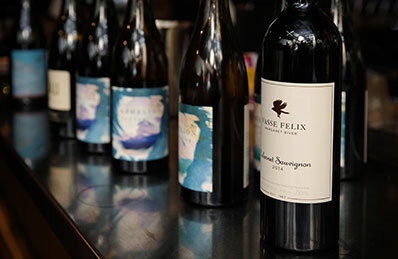 Vasse Felix was a proud supporter of this year’s awards and had a presence at the People’s Choice Event in Melbourne, pouring wines for guests and nominees alike. Chief Winemaker Virginia Willcock also took time out of Winemaker Tour to attend the event and meet the highly esteemed nominees. 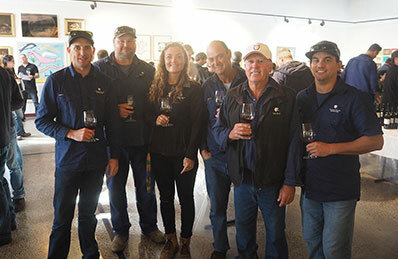 “It is great to meet these fresh new faces of the Australian Wine Industry,” said Virginia. 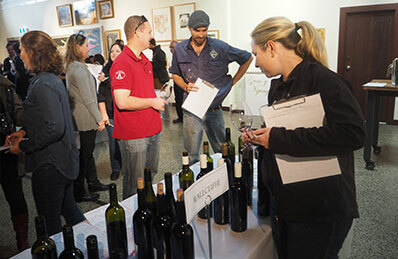 The award winners were plucked from 200 winemaker candidates. 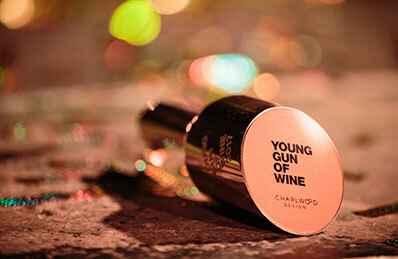 A Top 50 was announced earlier this year, ahead of the Final 12, each in contention for the winemaker trophies. Of the final 12 producers, four included female winemakers, which is a wonderful result when a 2014 research report indicated women occupy only 8.8% of winemaker roles in Australia. 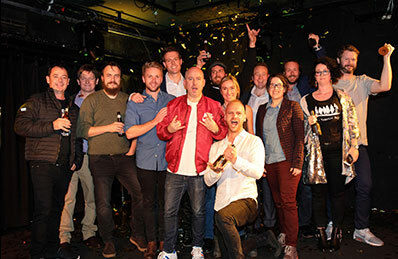 The 2017 judges included Nick Stock (Gourmet Traveller WINE, et al) Mike Bennie (Delicious, et al), Emma Farrelly (State Building), Philip Rich (The Lucas Group), Pip Anderson (MONA), Josh Elias (Alquimie), Rory Kent (Young Gun of Wine Founder and Executive Style) and Josephine Perry (Dormilona, 2016 Young Gun of Wine winner). We are delighted to announce the appointment of a new Head Chef at our multi-award winning Restaurant. Brendan Pratt will join Vasse Felix in late July 2017, replacing longstanding Executive Chef Aaron Carr. Perth-born and trained, Brendan’s international experience includes positions with Michelin Star Restaurants The Fat Duck and The Ledbury. 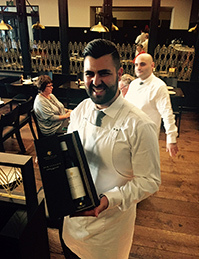 Since returning to Perth in 2012, Brendan has been employed as an Executive Chef within The Frasers Restaurant Group. Paul Holmes à Court said Brendan’s experience, interest in working with wine and passion for the superb local produce of the South-West made him an excellent candidate to steer the menu in the Vasse Felix Restaurant. “The Vasse Felix Restaurant was well-served since 1995 by Aaron Carr. Aaron’s reputation as a talented and experienced chef and an all-round top bloke is recognised widely within the industry. We looked for similar qualities for his replacement, and have found these in Brendan Pratt, who will relocate from Perth to Margaret River for the position,” Paul Holmes à Court said. “In recent years, our menu has evolved to consist primarily of local produce, sourced seasonally to complement the Vasse Felix wine collection. Brendan will continue with this focus, supported by our long-serving team of Chefs,” Paul continued. Brendan said the opportunity to work with the South-West’s outstanding wines and produce in a fine-dining capacity, in addition to the lifestyle benefits presented by the Margaret River Region drew him to the Vasse Felix position. 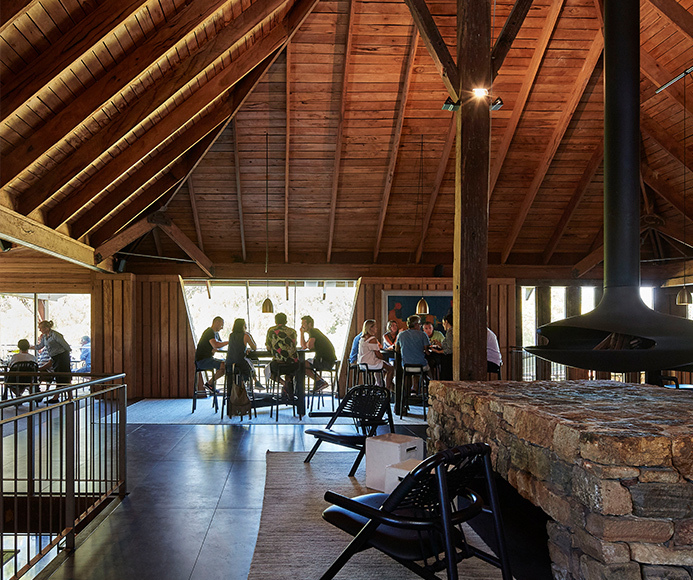 “I’ve always been a big fan of Vasse Felix – virtually every visit I have made to Margaret River has included lunch at the Restaurant,” Brendan Pratt said. “I’m looking forward to uncovering more of the phenomenal local produce being grown in Australia’s South-West. Margaret River is one of Australia’s leading culinary destinations, so to take the reins of such a well-regarded Chef position is a once-in-a-lifetime opportunity. My wife and I are excited to commence our new life in Margaret River,” Brendan continued. The Vasse Felix Restaurant has received many awards and accolades including, Top 100 and #1 Regional Restaurant WA – Gourmet Traveller, and Top 100 Restaurant – The Australian Financial Review. We are open for lunch daily, bookings can be made here. 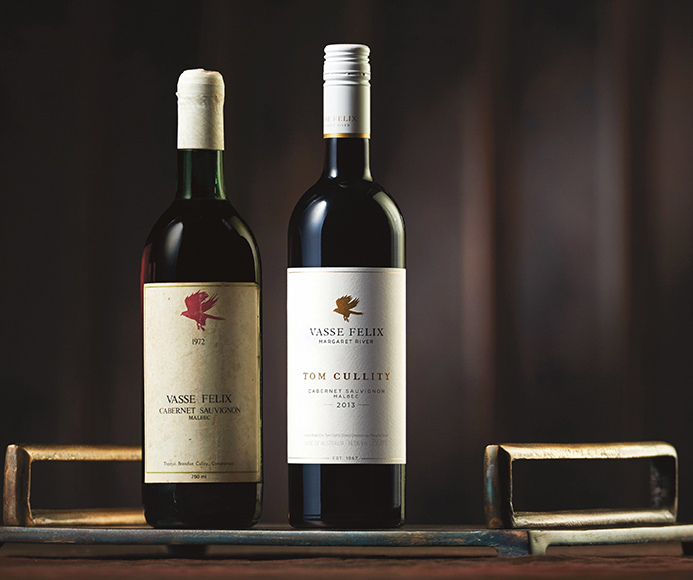 The 2013 TOM CULLITY is now officially in trade, and our team have been busy promoting the release with a series of Cabernet Masterclasses and Wine Dinners on the East Coast. Chief Winemaker Virginia Willcock travelled to NSW and Queensland in June to launch our promotion events. 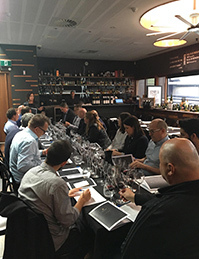 The Winemaker tour kicked off with two Cabernet Masterclasses in Sydney at Otto Ristorante, over two consecutive days. 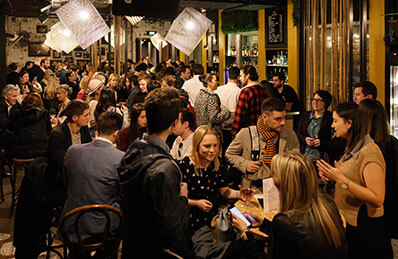 Key partners from both On Premise and Retail trade attended the classes, including Sommeliers from Quay, Cafe Sydney, Chophouse, Sydney Wine Merchants, and Mosmans Cellars, to name a few. The QLD Masterclasses were also split over two days. 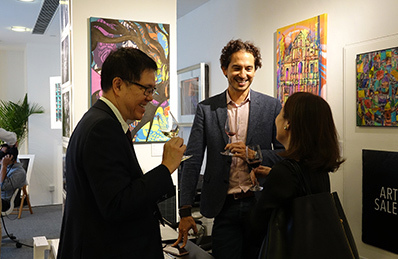 The first was at Rumba Wine Bar with approximately 25 key representatives from both On-Premise and Retail. And in the evening, Virginia hosted over 50 guests for the consumer dinner at Embassy XO on the Sunshine Coast. 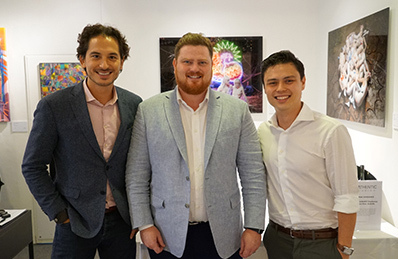 The second QLD Masterclass, held at Urbane, was attended by 25 trade partners, including staff from The Sofitel, The Cricketers Club, Esquire, Star Group and Black Bird. This was followed by another Vasse Felix Wine Dinner at Urbane restaurant, where close to 50 guests enjoyed four courses, paired with 6 Vasse Felix wines. 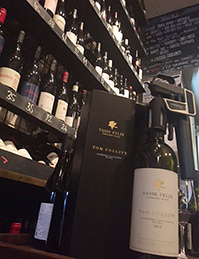 The 2013 TOM CULLITY is now showing in a range of Australian restaurants and dining establishments, including some of Melbourne’s finest restaurants - Grossi Florentino, The European Melbourne and The Australian Club (see below photos). ‘Expressive’, ‘Rounded’ and ‘Generous’ were just some of the terms these teams used to describe our new Cabernet Sauvignon Malbec. Check out some of your favourite pics below of 2013 TOM CULLITY in trade and Virginia’s East Coast Winemaker tour. We were thrilled to host a few long-term Icon Collectors from the Alumni Club at the Estate earlier this month, for an intimate tasting of some key back vintage Cabernets from the past 30 years. Welcomed by Paul Holmes à Court, Chief Winemaker Virginia Willcock and Estate Sommelier Evan Gill, the morning commenced with a tour (led by Paul no less) of our new museum space The Vault, with a glass of Blanc de Blancs in hand. 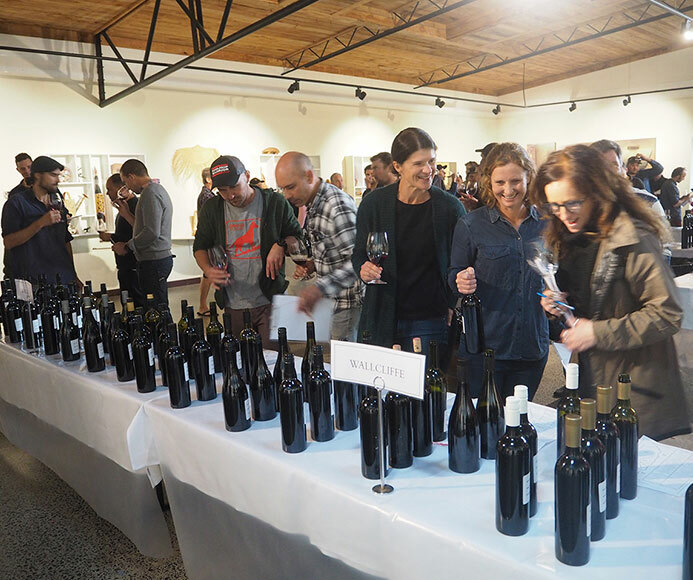 Standouts of the tasting included the 1985 Cabernet Sauvignon, the rich 1996 Heytesbury, the incredibly balanced but powerful 2005 Heytesbury and the final wine - our inaugural 2013 TOM CULLITY – was an epic finish to the tasting. Some guests stayed on for a 5 course Tasting Menu with matching wines at the Chefs Table, and were treated to a side-by-side comparison of the 2006 Cabernet Sauvignon and the 2013 TOM CULLITY. All round, there were some very satisfied Icon Collectors! Tasting notes for the event are listed below. Vasse Felix museum wines are stored in The Vault, to view them yourself, please visit the Estate or book ‘The Cellar Experience’ tour here. Mint, herbal, mulberry and cigar box aromas - quite attractive. The middle palate shows the Vasse Felix trademark of sweetness, elegance and balance. Tannins are soft but in moderate levels giving the wine a long finish. A relatively cool ripening season, the grapes were picked much later than usual. 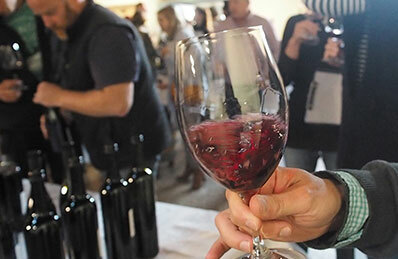 The grapes sourced for this wine also included a portion of fruit from a vineyard south of Margaret River, giving the wine a much more leafy character than previous Cabernets from Vasse Felix. A very black and deep velvety wine in the glass with sweet coffee, cassis and spicy plums evident on the nose. The palate is velvety ~ almost viscous with intense chocolate, mulberry fruit and vanilla/clove oak with an amazing length of flavour and ripe tannin structure. The 2005 Heytesbury is a beautiful, deep dark plum colour. The aroma is fragrant, with lifted blackcurrant and fresh subtle peppermint leaf with blueberries, violets, coconut, cumin seeds and thyme which meld into the background with rich oak perfumes. The palate is bright with fresh acidity and a slight creaminess to the mid-palate. The tannins are firm and the wine finishes dry with pretty flavours of violets, dark berries and a hint of mandarin. 2005 was an outstanding year in Margaret River. The growing season was drier than usual and the days were warm with cool nights – ideal for producing high quality red wines. The brief given when making the Heytesbury, in the words of Vasse Felix and Margaret River’s founding vigneron, Dr Tom Cullity – “to make the best possible wine.” Balance, elegance, complexity and restrained power are the hallmarks of Heytesbury and are the direct result of an uncompromising approach to quality. Deep red with a pink/crimson hue. Deep, concentrated and packed full of blackcurrant and mulberry aromas, with fine layers of violets, lavendar, aniseed, tobacco leaf and graphite. A sensational structure that is comet-like in its profile. A ball of voluminous, sweet, dark fruit and intense tightlywound acidity with textural tannins punctuates the entry, and continues with a long, fine, tail brimming with tangy red berries, dried sage, cedar and ultra-fine tannins. Two cold springs in 2007 and 2008 contributed to low yields in 2009. Summer was moderate and fine conditions remained throughout harvest. These conditions produced superbly ripe and balanced fruit displaying all the hallmarks of a fine vintage. Heytesbury is a barrel selection from the finest parcels of Cabernet Sauvignon, Petit Verdot and Malbec from the 2009 Vintage. The Cabernet Sauvignon dominant blend includes portions of Malbec and Petit Verdot, which are distinctly perfumed, flavoured and structured. Both complement the restrained power of Cabernet Sauvignon. All batches were meticulously handled and given 18 months maturation in French oak barriques. Bright maroon with a purple hue. Fresh fragrant black, red and blue berries, floral violet notes, cherry pip and pie crust meld with the earthy savoury tones of gravel stones, damp forest and a cedar steam nuance. Luscious dark berries stolen from the forest explode with a taught but voluptuous sensation. The fruit is sweet and fine but the structure is long and powerful. It has super fine tannins, fresh acid and a delicious and unique memory remaining. 2012 was not just another exceptional season, but also a year of significant evolution for red winemaking at Vasse Felix, with the adoption of 100% natural yeast fermentation in our top red wines. Good finishing winter rains with moderate spring conditions resulted in excellent canopy health. The summer ripening period was warm and dry with some above average heat in late January prompting an early start to harvest. The weather tempered in early February and the fruit ripening slowed to a more typical pattern resulting in a long and steady vintage. Classic in style, this barrel selection of the best Cabernet Sauvignon, Malbec and Petit Verdot from the vintage takes Heytesbury to a whole new level. Deep maroon with a brick and purple tint. Savoury to start with meaty mushroom, nori, salty sea breeze, graphite and spicy cedar notes. Opens beautifully with cherry pip, cassis, Christmas cake, orange rind, pot pourri and Australian forest floor. A refined, soft, elegant and almost creamy Cabernet style with sublime tannin and mouthfeel. The flavour is full, yet elevated and carries cherry, cassis, hints of cinotto, cedar and chocolate. It finishes juicy, while fine and dry. Vasse Felix, Margaret River’s founding wine estate, was established by Dr Thomas Brendan Cullity in 1967. Among his first plantings were Cabernet Sauvignon and Malbec vines, from which he produced the estate’s first red wine. The TOM CULLITY descends from these original vines and represents the pinnacle of Vasse Felix. The inaugural release was in May 2017, coinciding with Vasse Felix’s 50th Anniversary. All fruit was grown in Vasse Felix’s Home Vineyard. Fruit parcels were picked in small blocks and fermented with 100% wild yeasts. 52% was static fermented and macerated on skins for more than 20 days. 48% was open fermented and macerated for 10-15 days on skins. The wine was fined with egg whites and racked before minimal filtration to bottle. 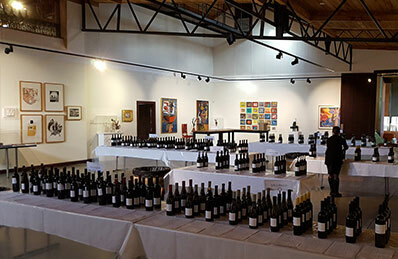 On Friday 4 June, we hosted the annual Margaret River Region Cabernet Tasting and what a fantastic tasting it was! 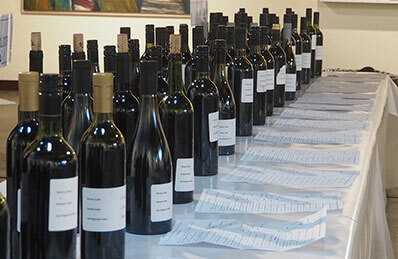 Over 60 producers shared close to 100 unfinished barrel samples of Cabernet Sauvignon from the 2016 vintage, allowing winemakers and viticulturists to examine the different techniques used to produce Margaret River’s award winning Cabernet. A variety of technical information was provided for each sample including where in the Margaret River region the vines were grown, the clone and age of the vines, the type of yeast used for fermentation and type of oak used for maturation. 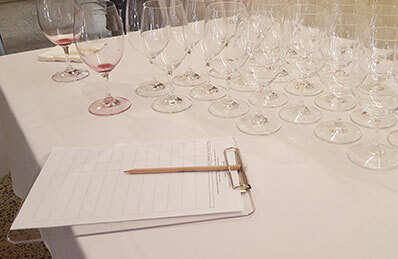 Guests were treated to an overview of the 2016 Vintage conditions from our Chief Viticulturist Bart Molony, as well as some key tasting notes and feedback on the samples from Will Berliner (Cloudburst Wines) and Glenn Goodall (Xanadu Wines). And their verdict? The quality of the 2016 vintage was excellent. We are set for another great year of Cabernet Sauvignon in Margaret River.